grass stains: My new iPhone case. Yes, I'm almost ready to stop talking about my phone. But not quite. My new iPhone case. Yes, I'm almost ready to stop talking about my phone. But not quite. Okay, by now we all know that I got a new phone last month. A new phone meant that I needed a new case, and if you know me at ALL, Internet, you know that I am not one to sit by and allow some mainstream, nondescript, pedestrian phone case to dress my phone. I wanted something slim and sleek, and I loved the melamine-type of material I had for my last case. 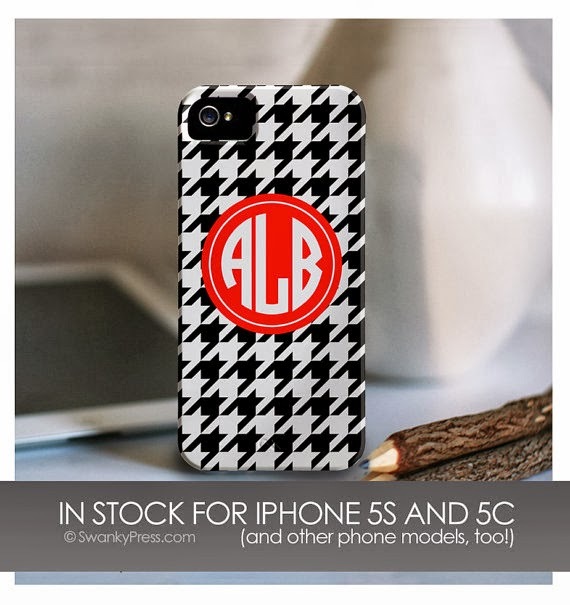 But to be honest, when I went to the website from which I ordered my previous case, it was so poorly designed and confusing that I couldn't even figure out what they offered for the 5S. They lost a sure sale. Ultimately I decided on this one, the Chain Link Pattern in Preppy. And although as I was typing in my monogram I could hear Rachel asking loudly in my ear, "Why does it need to be monogrammed? Will you forget it's yours? ARE YOU GOING TO FORGET WHAT YOUR INITIALS ARE?" ... I did it anyway. It has this little shock-absorbing foam pad on the inside. And it fits my phone like a glove. We were meant to be together, Internet. I paid full price for my case, and the shop owner and I don't know each other. But after my case arrived and I'd used it for a few days, I Messaged her on etsy to tell her how much I liked it, and that I was going to write a post about it, and to ask if she'd like to offer you guys a small discount. And, look. 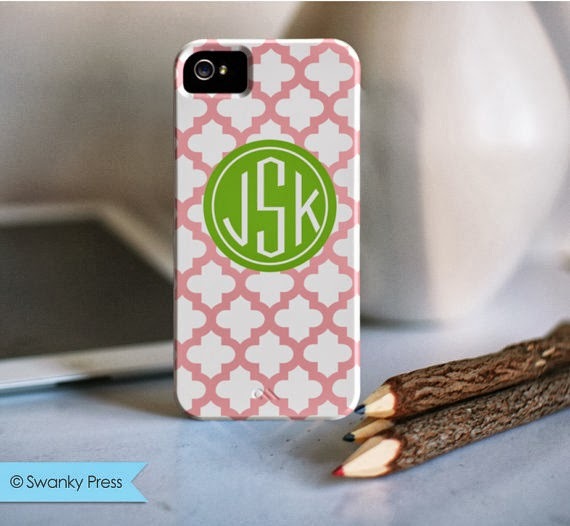 I KNOW that most of you are probably FINE with a $10 or $12 phone case. And I love you for it. 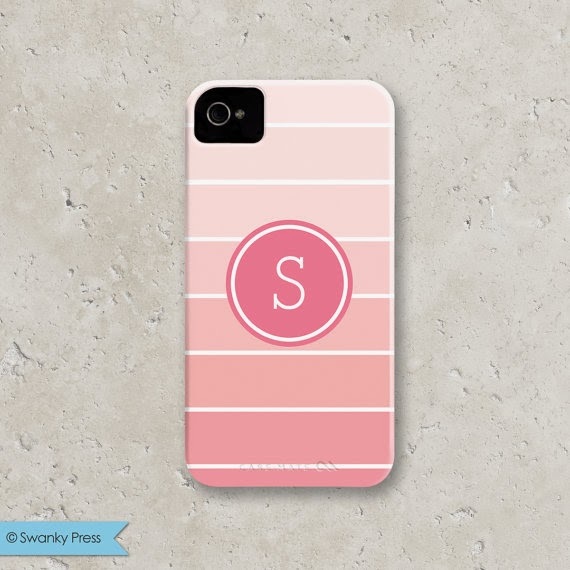 But I want a really cute case, and I just factor it in to the price of a new phone. It's that important to me. 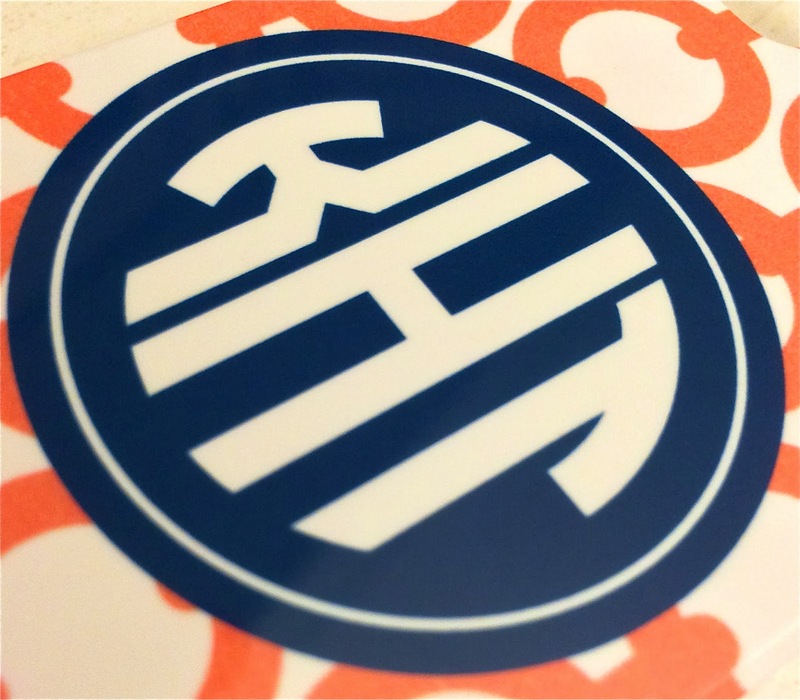 So if it's that important to you, too, please help yourself to the coupon code FIVEOFFCASES, which will apply a $5 discount on either the Swanky Press website or etsy shop. Elizabeth, the shop/blog owner, recommends shopping through her website, because she said that there are many more product options available there. (But I bought through etsy, because I have my credit card information set up through PayPal, and I was perfectly pleased with the product selection there.) 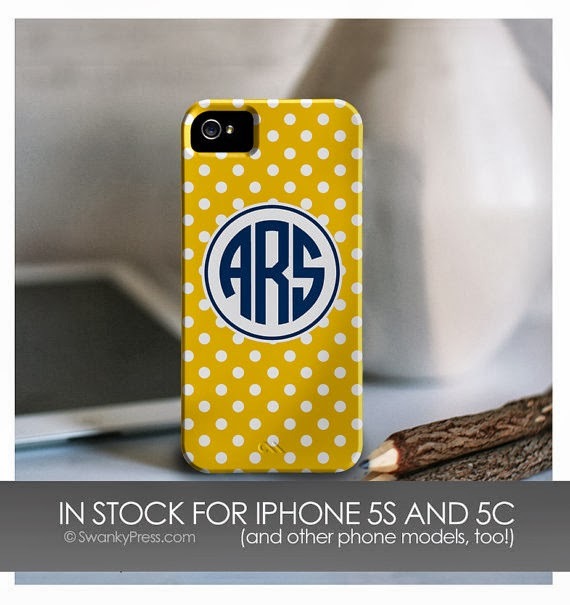 The discount code will be valid through October 31, and of course their cases are good on older iPhones and iPods, too -- you have to specify the model as part of the ordering process. 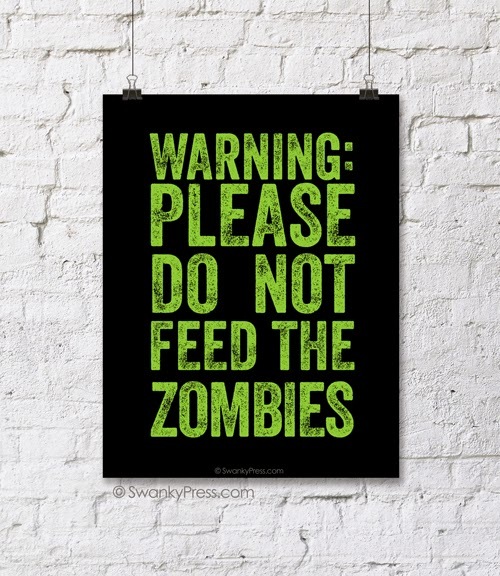 Oh, and Elizabeth also mentioned that she offers free printables on her blog from time to time, and right now she's offering a free zombie poster. Since I know a bunch of you are Walking Dead fans, you might want to go check it out. 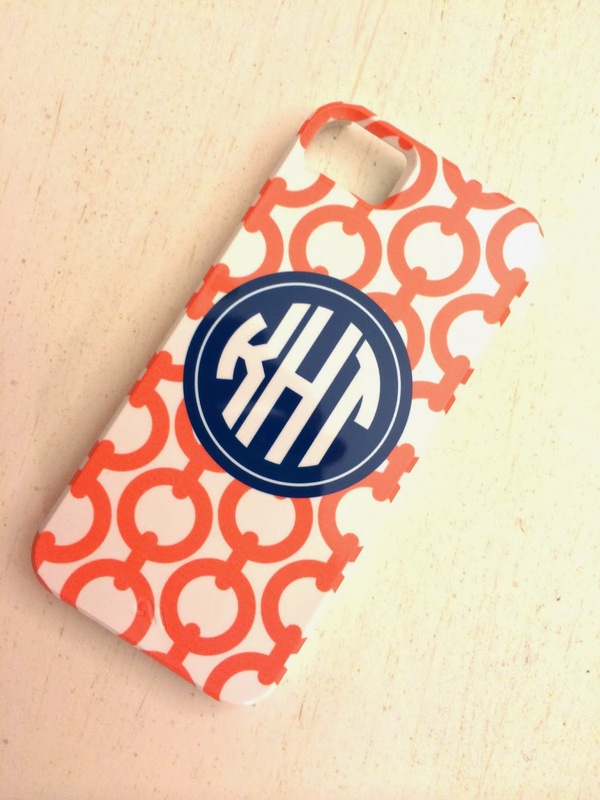 Do me a favor ... if you do order a phone case, please send me a picture! I'd love to see it.